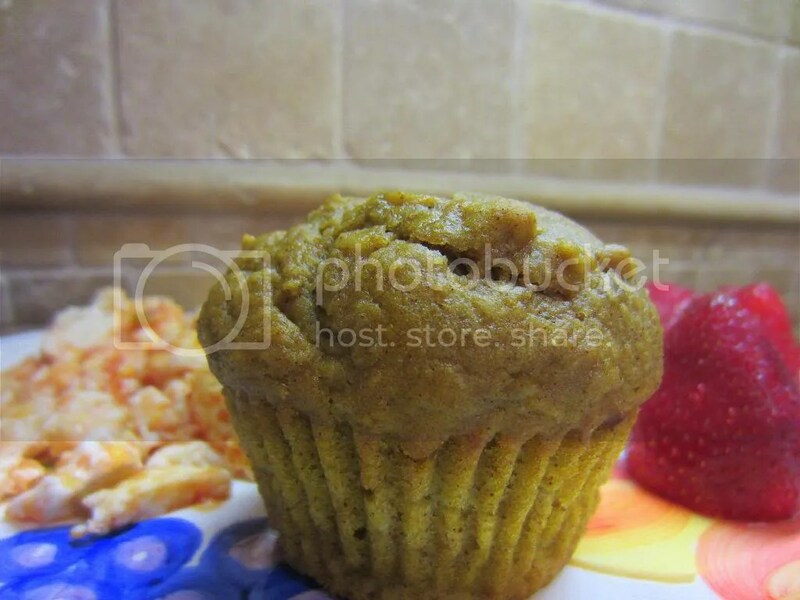 Pumpkin Banana Muffins! So, you have pumpkin and then you have bananas and they get married and become a muffin! Sigh… so romantic! I actually really enjoyed these muffins! I think next time I might cut back a bit on the banana and put a bit more pumpkin in there as I could taste the banana more than the pumpkin and I’m totally an equal opportunity taster. Coleslaw with Apples! I’m marrying things all over the place last week! This one married cabbage and apples, oh my! 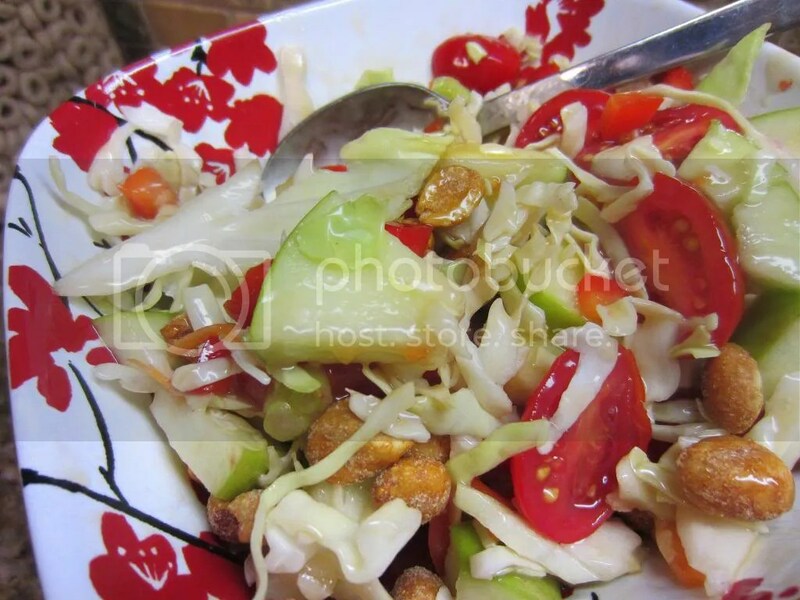 I invented my own recipe here by adding the tomatoes and the honey-roasted peanuts (for the protein factor). I also wayyyyyyyy cut back on the sugar in the dressing… it was still tastee. I like the crisp tartness of the Granny Smith apple with the cabbage. Winner winner coleslaw dinner! 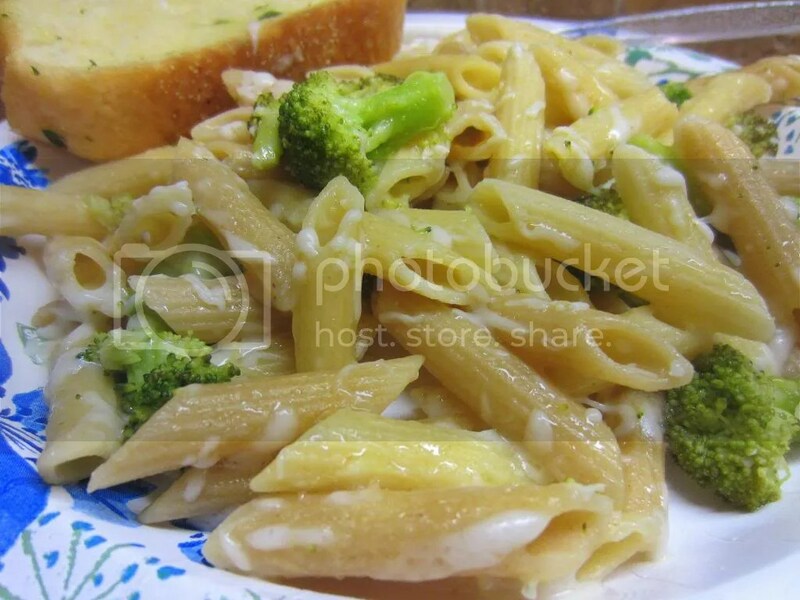 Another marriage… penne pasta with garlic, broccoli, and lemon… this one was cantankered with via Martha Stewart. Meaning, she gave a brief outline of something I might like and then I changed it up because I’m cantankerous. Basically, cook you some whole wheat penne pasta, cut up some broccoli (to cook it throw it into the same pot as the pasta for the last 3 or 4 minutes… voila). Get you a lemon, some lemon zest, some olive oil, and some garlic! Throw in some Parmesan cheese… mix and serve! FOOD! Even if I hate the word, it sure as hades tastes good. Dagnabit all to heck! Question of the Day: What are two foods that you enjoy “marrying” to make an even more delectable super food? PS – Stay the course, FatMas people… if any people can do it… YOU CAN! Because I said you could and I’m right 100% of the time according to the part of my brain that holds the ego portion! DO IT!